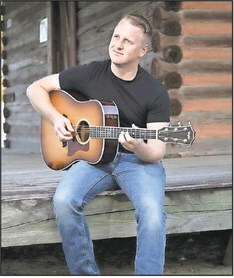 SEBRING –– Area music fans will have an opportunity to hear one of the rising stars on the country music scene when Florida native Eli Mosley performs Saturday, July 9 at Cowpoke’s Watering Hole. Mosley, who gets inspiration from traditional country artists such as George Strait, Brad Paisley, and Brooks & Dunn, not only writes and sings his original work, but plays cover songs from country artists ranging from Merle Haggard and Johnny Cash to George Strait and Luke Bryan. He has been performing since 2007 and graduated in 2015 from Southeastern University with a degree in music business. Mosley’s music career kept him busy in 2015 when he was the headliner in 75 shows in the central Florida area. He also made several trips to record in Nashville and hopes to release his second EP sometime in the fall of 2016. His first, self-titled “Eli” was warmly received by critics. Mosley plays alone and as the front man in a four-man band also known as Eli Mosley. Backing him in the band are Kheagun Fleckenstein on lead guitar, drummer Zack Branham, and Josh McGaffin on bass guitar. Fleckenstein hails from Auburn, Ind. where he was born and raised until moving to Florida in 2015. He posted an ad looking for a spot in a country band and Mosley responded. Kheagun has been a country music fan since his childhood and loves country music. He has been playing the guitar since he was 13 years old. Huge influences on his playing have been Brad Paisley, Brent Mason and Eddie Van Halen. Branham is from Nashville, Mich. where he played drums in high school and his church’s band. Mosley and Branham met at Southeastern University in Lakeland. The first time they played together was for Mosley’s senior concert. Branham has since become an important member of the band. McGaffin is a native Floridian, born and raised in Polk County, and loves country music. For him, the path to music began at church. His passion for playing music led him to pursue classical guitar. This is the backbone of his musical knowledge, and from there he taught himself many more techniques and facets of music including bass guitar and vocals. Mosley’s original song, “Oh No,” performed at a concert appearance in Nashville, can be heard by visiting www.youtube.com/ watch?v=mS0X2XQgz6Y& sns=em. His music is also featured on ReverbNation at www.reverbnation. com/elimosleymusic; on Facebook at www. facebook.com/elimosleymusic; on iTunes by visiting itunes.apple. com/us/artist/eli-mosley/ id943072222; or at elimosley.com. For booking details contact Michael Mosley at 863-303-5626 or email mwmosley68@gmail.com.